I have created this announcement for any members who are unfortunate to have their bikes stolen. They can list JUST THE DETAILS OF THE BIKE, location plus any distinguishing modifications here, date etc so that all members will have a quick reference thread. By all means let everyone know in the General section. Fog light under main light. Red "flamable" sticker on RH side of tank. Cut down rear panier frames painted black. Rear footpegs fitted to panier racks. IMMACULATE MT350 STOLEN in Winch Wen,area of SWANSEA.May 26th2011. 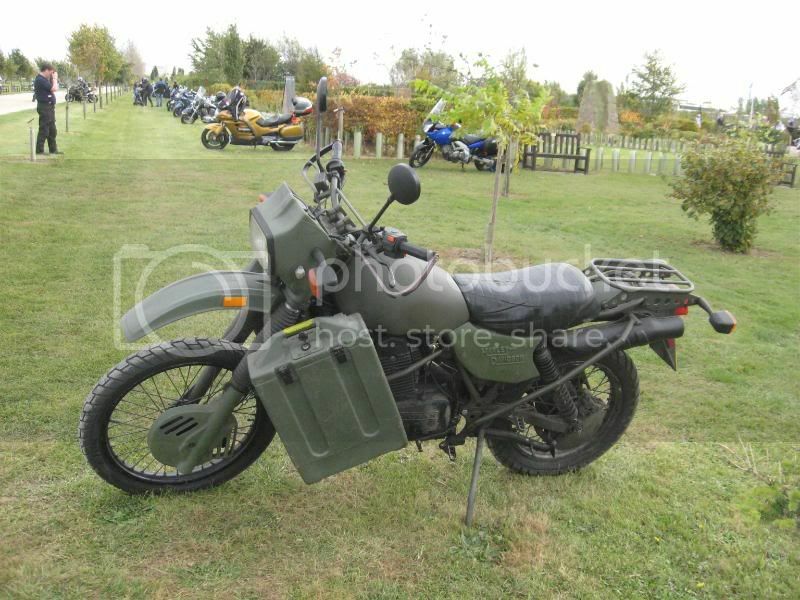 Mt350 Stolen Saturday night 16th July 2011 from Southampton, reg details P966 RBP , chassis number 1HD6RTL11VY000067, 19,000kms (don`t have photos) stainless replacement silencer mod type. odd scrape on side panels, tank very good, typical used but for cared for mt. I awoke this morning to find my beloved MT has been stolen overnight. She has a stainless steel exhaust, gun rack fitted, braided hoses etc, gloss green. The reg number is L955 HOP. Stolen from the Wittering, Peterborough area. Apparently there has been several bikes stolen recently so anyone around here be careful. Can anyone comment on suspected chances of getting the bikes back? I will upload some photos tomorrow. My MT350 was stolen in Leicester on the night of 19/10/12. Please check the provenance of any parts you may see for sale. Had my MT350 stolen from my hous, Leighton Buzzard, early hours of today. Fitted with Ady's (MT Pocket) rear pannier mount. RBLR lions head sticker on the front mudguard.